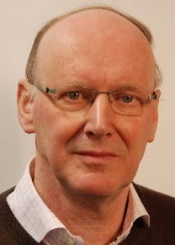 a Dutch computer scientist and professor at the Department of Computer Science, Faculty of Economics, Erasmus University Rotterdam, since 2011 retired . He researched on various game tree search algorithms, in particular along with Arie de Bruin on Stockman's SSS* algorithm, which they declared "dead" at the 8th Advances in Computer Chess conference 1996 , due to its reformulation as a sequence of depth-first alpha-beta null window calls with transposition table aka MTD(f), as also elaborated along with Aske Plaat and Jonathan Schaeffer in several papers. This page was last edited on 16 January 2019, at 22:16.